The Smooth 9.15HR Treadmill is considered by experts as one of the best folding treadmill in the market today. And like most Smooth treadmills, it also has a very stable running deck so expect a solid feel each time you use it. This treadmill was designed to easily fold and save valuable space in your home. It is perfect for those looking for a machine they can easily fold and move around. The Smooth 9.15HR comes with a powerful 2.75HP continuous duty motor. (Continuous duty HP is the "working power" of a treadmill motor) This motor gives you years of maintenance free service with a high horsepower. It prevents overheating while delivering strong performances. Surely, even serious runners would find this treadmill powerful. The hand grip pulse monitor and control (optional wireless chest strap control available) allow you to workout in your target heart rate zone for a more intense cardio workout. The extra long 20"x 54" treadbelt is pre-lubricated with silicon so it doesn't need additional lubrication upon delivery. This 2-ply belt is non slip, long lasting, and easy to clean. It also lessens friction and noise. The running deck is made up of a triple-laminated 1” thick phenolic deck. This deck is as thick as those from commercial treadmills and the phenolic helps keep the deck lubricated to extend its life. The new extra large 3" LED console displays your speed, distance, time, pace, calories burned and pulse rate. These informations give you the ability to know how much you’ve been progressing from workout to workout. The Smooth 9.15HR treadmill is equipped with a variety of programs that are both challenging and motivating. It has a total of 8 different programs. It also includes a Quick Start, or manual mode program. So regardless of your fitness level, I'm sure you'll find a workout that's right for you. The Smooth 9.15HR treadmill has 2 ½” commercial grade rollers. Since these rollers are larger than usual, it lessens tension because the roller’s diameter has more area to "grip" the belt (traction) and prevent slippage. This results in longer life to both the belt and roller bearings. Plus, the large rollers turn more slowly at all speeds which obviously reduce bearing wear. The treadmill weighs 260 lbs and its user weight capacity is 350 lbs. This gives you greater stability with a more solid feel while working out. The cushioning system is soft, yet stable when your foot strikes the deck. The Elastomer rubber isolators cushion the impact and transmit absorption throughout the length of the deck. This eliminates side to side motion that is harmful to your joints, knees and ankles. The pulse width modulator or PWM circuit board comes with your purchase of Smooth 9.15HR treadmill. It gives you more power from “pure” voltage for your motor operation while avoiding electrical “hums”. It is quiet but at the same time very powerful. The Smooth 9.15HR treadmill also has 2 cooling fans, one for the motor and another for electronics. These fans keep both the motor and electronics cool even if you use it for a long time. Since treadmills require a lot space, choosing a folding treadmill would make sense for those with limited areas at home. The Smooth 9.15HR treadmill not only conveniently folds to conserve space, but it has power mechanics to make the process as simple as a push of a button. In addition, the machine is on top of large casters. This makes it easier for you to move the unit to another location when not in use. And finally it offers a lifetime warranty on frames, 10 years on its motor, 5 years on its belt and deck/rollers, 3 years on electronics and a year on service/labor. With warranties as long as these, you're almost sure that the product is of high quality. Some people find the Smooth 9.15HR treadmill a bit expensive but I do believe that this treadmill is worth every penny. You’ll get great value for your money. Plus, with its quality parts and long warranties, expect this treadmill to be useful for a long time. Also, people complained about delivery delays. But that is to be expected for most Smooth treadmills due to the huge demand for their machines. And finally, you might want to put aside a few bucks or so because the listed price does not include indoor delivery and set-up. 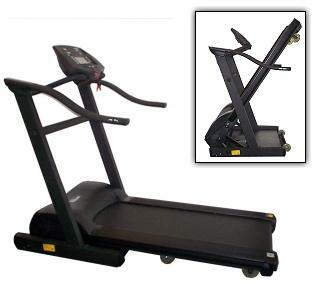 If you want a high quality folding treadmill, you can't go wrong with this model. Its competitors would definitely have a hard time matching what this machine offers. I recommend the Smooth 9.15HR treadmill. If you plan on buying a Smooth 9.15HR treadmill, I suggest you buy it at smoothfitness.com. They offer the best price around the net. You can get it for just $1,899.